Domino's, Pizza Hut and even Walmart are all dishing out the deals through Jan. 19. What's that smell lingering in the air? It's not just the first snowfall coming through. It's the scent of gooey cheese, tomato sauce and discounted pizza. 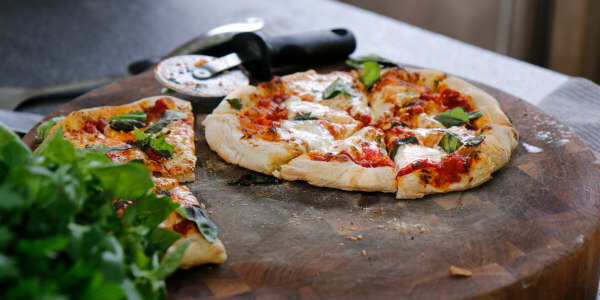 All week long, from Sunday through Saturday, America can officially celebrate National Pizza Week. That means Dwayne "The Rock" Johnson can indulge in one of his favorite cheat meals, the internet can debate whether pineapple is suitable for pizza and little pizzerias everywhere can experiment with strange toppings like pickles. To keep this country saying, "cheese please," several eateries and big chains are discounting their best-selling pies so people can eat this much adored comfort food every day. 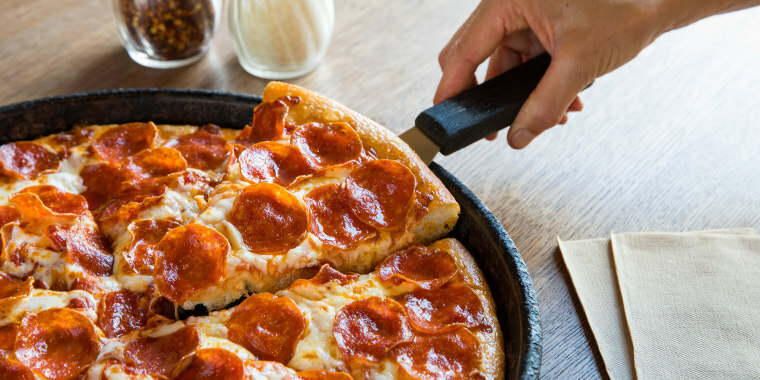 This national pizza chain has a few deals going on this week so you'll be able to snag a meal for the whole family or even treat pals at work. The Mix & Match Deal offers any mix of items for $5.99, as long as two or more are purchased. Customers can choose between a medium two-topping pizza, a marbled cookie-brownie, specialty chicken, oven-baked sandwiches, stuffed cheesy bread, pasta or an eight-piece chicken meal. In addition, Domino's will sell large three-topping pies and medium three-topping handmade pan pizzas for $7.99 each, as long as patrons pick up their orders in store. There's a $5 "lineup" at Pizza Hut honoring football season and National Pizza Week. When customers order two or more medium pizzas, bone-out wings, Cinnabon Mini Rolls and more off the menu, the meal deal is just $5. Well, would you look at the time..
Running a similar deal to Domino's and Pizza Hut, Papa John's limited-time offer includes two medium, one-topping pizzas for $6 each. Fans of this New England-area pizza joint can snag two or more large traditional pies with up to five toppings for $10.99 with this coupon. You can also get a free small pizza by texting PIZZA3 to 40518, which will enroll you in the chain's rewards club. For those who feel like dining out, BJ's will give guests 50 percent off any large deep dish or tavern cut pizza. Want to wash it down? The chain's Jimador margaritas will be $5 a glass during National Pizza Week. This chain known for its flavored crust (and one musically gifted employee) is handing out $1 medium pizzas with every online purchase of a large, one-topping pie. Cheese fiends can make it stuffed crust for $2 extra and, for dessert, Hungry Howie's just released a family-sized chocolate chip cookie made with Ghirardelli chocolate chips.